When you enter the realm of homeownership, you may have a bit of a learning curve ahead of you, what with the many expenses and maintenance issues associated with owning property. As a renter you simply call the landlord when the toilet backs up or the AC isn’t working. But as a homeowner, you need to stay on top of maintenance tasks if you want to preserve the value of your home and rely on your equipment to deliver on demand. And eventually you’ll learn to schedule tasks like cleaning gutters and servicing the water heater and HVAC equipment annually. But you may not entirely understand the benefits you’ll gain when you shell out the dough for these types of maintenance. And since you don’t want to lapse, it’s best to go in knowing exactly what you get from your expenditures. Here are some benefits you’ll enjoy when you practice routine AC maintenance. First and foremost, you’ll ensure that your unit is in good working order. Over time, the interior of your AC unit can become fouled by dust and debris. Your coils can become damaged. And your refrigerant levels may become depleted. All of these events can cause your AC to falter and even fail. In the meantime, you could be sweating it out while you wait for your overworked HVAC technician to fit you into his busy summer schedule. Although regular maintenance won’t necessarily preclude these types of occurrences, the cleaning, inspection, and repairs that are standard for your annual service call will help you to catch potential problems early on and correct them so as to avoid a loss of air conditioning when you need it most. Regular maintenance also helps to increase the longevity of your equipment, and this can definitely save you money over time. Consider what you might pay for your average HVAC service call. Maybe $100 for a visit that includes regular maintenance tasks like inspection, cleaning, repairs, testing, refilling refrigerant, replacing filters, and so on. If there are major repairs, you’ll have to pay more, but so long as you keep up with your maintenance, the odds go down that you will have additional, unexpected costs. If, on the other hand, you don’t keep up with regular maintenance, your problems are only likely to increase, with repairs that are far more costly than what you would have spent on maintenance. And you’ll likely have to replace your unit sooner, at a cost of several thousand dollars. 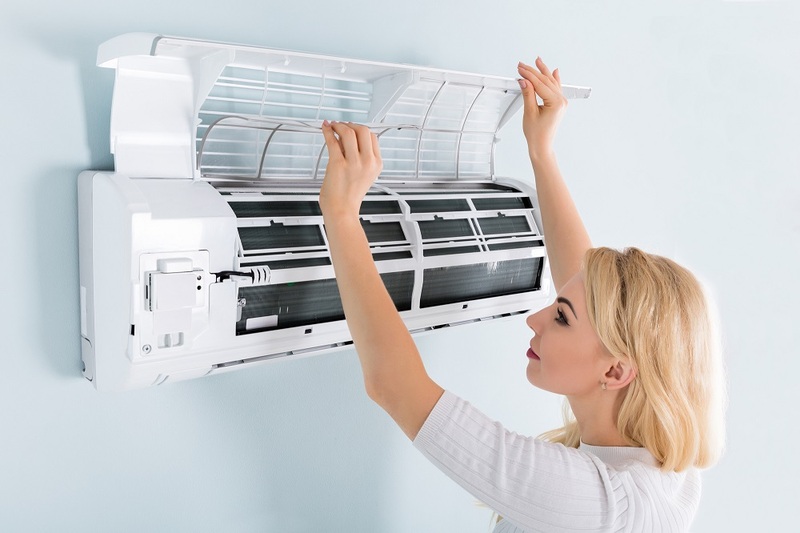 Whereas your AC unit may have lasted years longer with proper care, foregoing annual service calls could shave years off the useful life of your equipment. Plus, equipment that is in ship shape is going to deliver the greatest energy efficiency, reducing your utility bills. A clean and functional AC unit can also help to address indoor air pollution problems, especially for those who suffer from asthma and allergies. And of course, you’ll have the peace of mind that comes with knowing you’ll get the cool and comfortable interior you crave every time you crank the AC in order to beat the summer heat. So the next time you feel like complaining about the cost of maintenance, just think of all you get for the money.